All About Our Personal Checking Accounts - Bank of Southern California N.A. 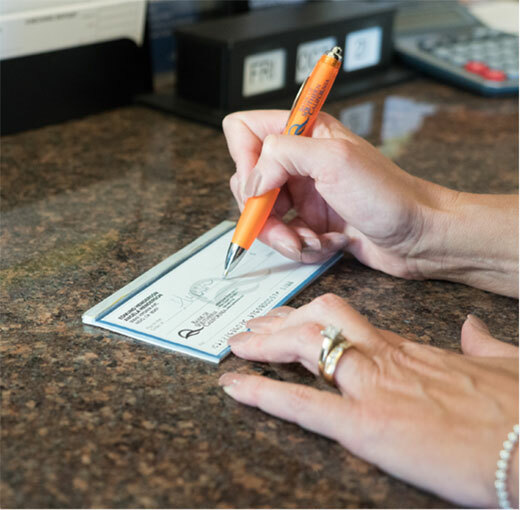 Last week, we told you about our business checking accounts. Now, we want to discuss the topic of our easy and convenient personal checking accounts because at Bank of Southern California, you can take care of all your business and personal banking needs in one place. VIP Checking – This is best for individuals who maintain higher balances or are looking for additional services, such as interest-earning capabilities. You receive worldwide ATM Surcharge Reimbursement*, a free MasterCard® Debit Card, online banking, mobile banking with check deposit, bill payment, and corporate image checks annually. Personal Checking – This is our affordable checking account for individuals with standard checking needs. You receive a free MasterCard® Debit Card and complementary online banking, mobile banking with check deposit, and bill payment. eChecking – This is the most affordable checking option for individuals who want to go paperless and conduct all their personal checking activities online. You receive all the same benefits as the Personal Checking account. Personal Money Market – This provides you with immediate access to your money. You receive check-writing** capabilities and tiered interest rates based on your balance, and excess funds from personal checking accounts can be transferred into this account to maximize earnings. Now that you are more familiar with our personal checking accounts, contact one of our branches to open one that best fits your needs. You can also learn more about the accounts on our website. *ATM Surcharge Reimbursement capped at $25.00 per statement cycle. **Federal regulations limit checks and other pre-authorized debits to 6 transactions per statement cycle.